Buying used vintage OE Steel Wheels can be a sketchy proposition, sometimes. You just don't know what you've got until you get them on the balancer or worse on the road. Coker Tire Company offers dozens of brand new premium OE replacement wheels for your car or truck. 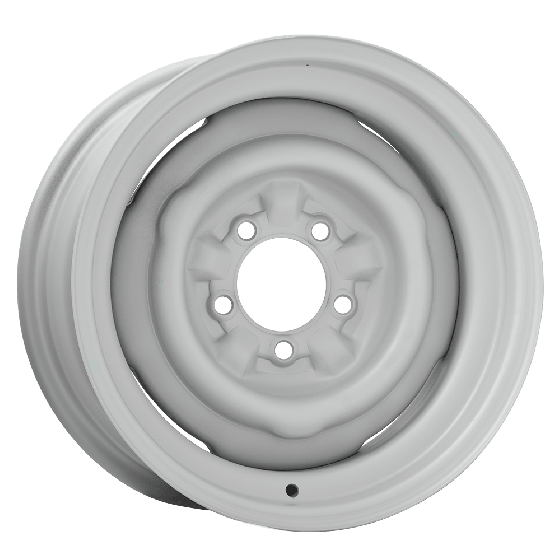 These classic steel wheels for Fords are primed and ready for painting in the color of your choice. They accepts standard outside-knob caps with 10 1/8 inch back diameter. Full size caps requiring nibs will not fit Accessories sold separately. These will likely fit, but please note that the original 4x4 version would have been equipped with 16" rims. Also, please measure your center hub size to verify fitment. 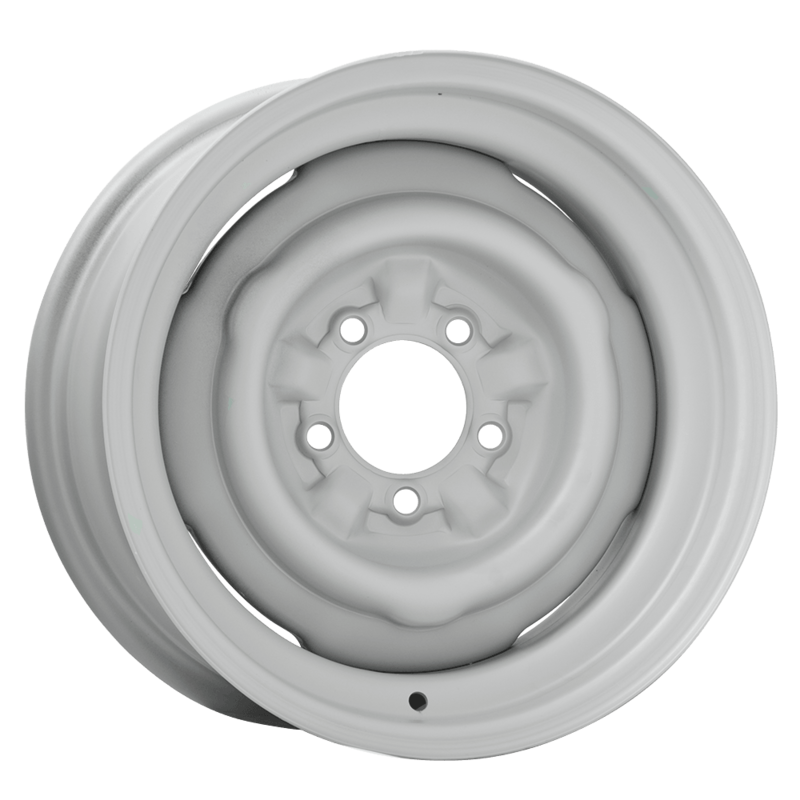 This wheel features a 4.25" center bore.